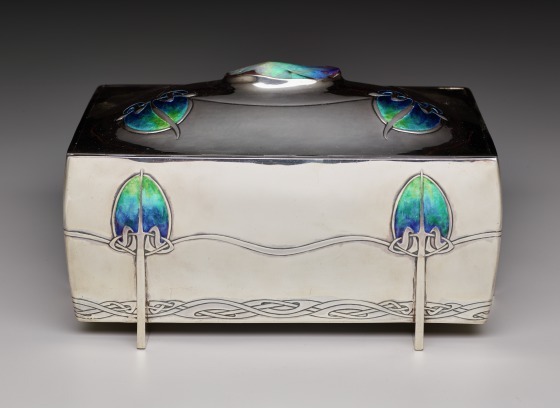 During the late 19th century, archaeological investigations and discoveries contributed to regionalist and nationalist impulses in the decorative arts, such as the so-called "Viking Revival" style, rife with Scandinavian forms. 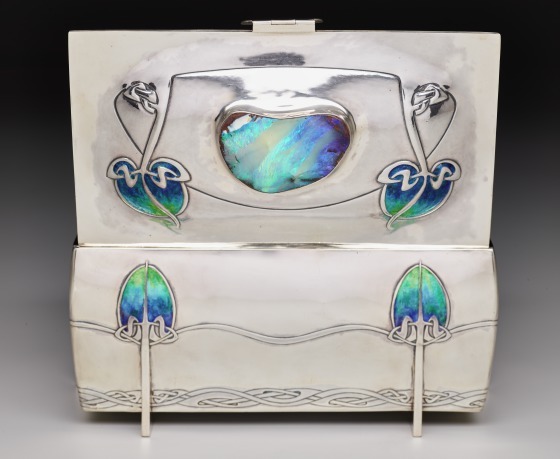 Manx designer Archibald Knox often paired ornament inspired by the traditional arts of his Celtic ancestors with stylistic conventions of contemporary design movements. 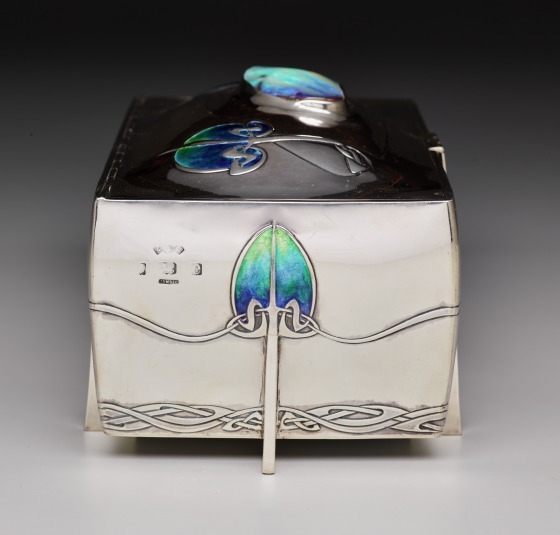 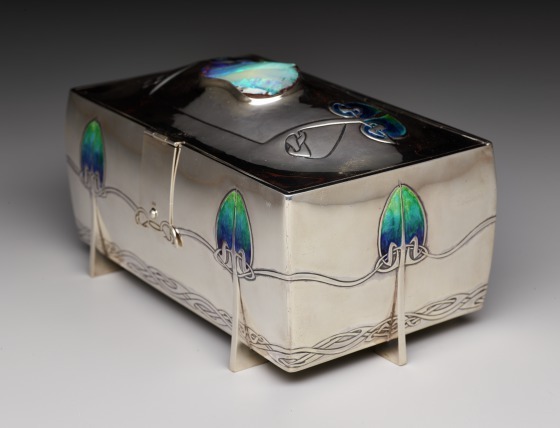 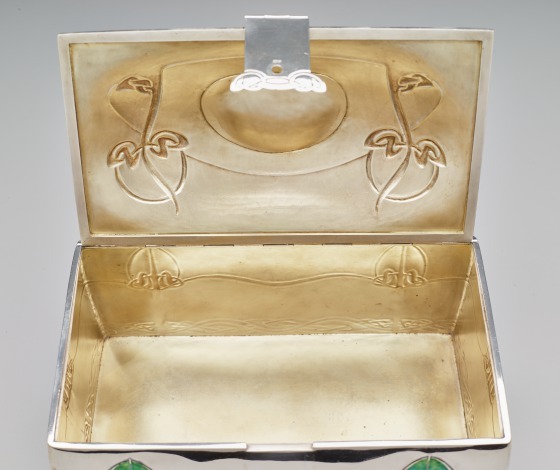 This box, enlivened by Celtic-inspired interlaced knots and enameled buds characteristic of the English Arts and Crafts movement, captures the dual senses of historicism and modernity that defined turn-of-the-century design. 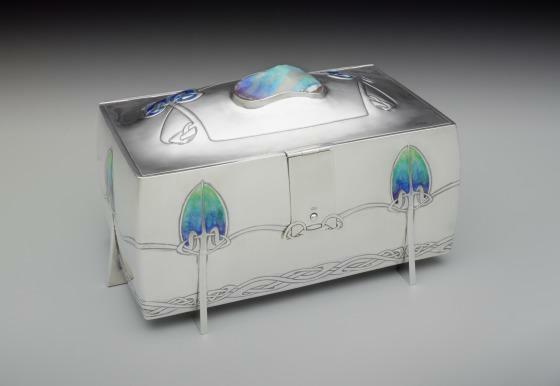 This box is one of four variants known to exist. 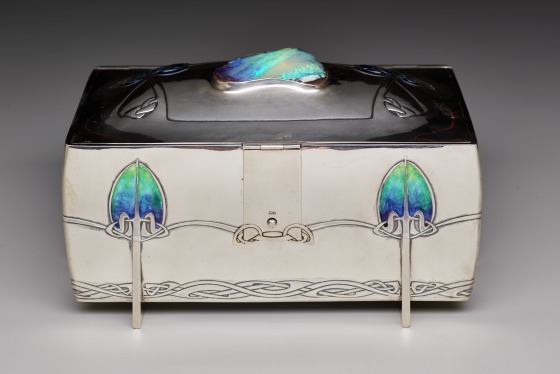 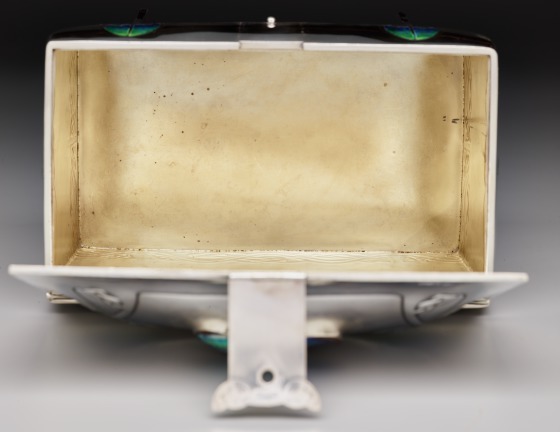 The Museum’s example is the most elaborate of the four, and is distinguished from the other known examples by its bulging lid and massive opal cobachon. 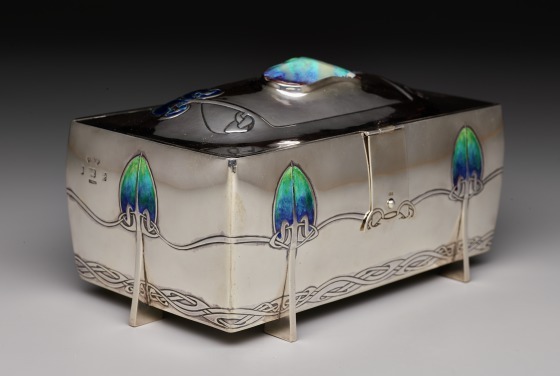 The complexity and scale of this work suggests it was made on special order and was among the more costly works in Liberty & Co.'s Cymric line of silver goods. 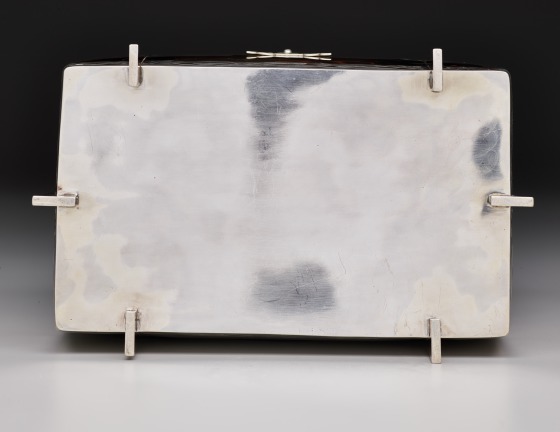 Kevin Tucker, DMA unpublished material, (2012.22), 2012. 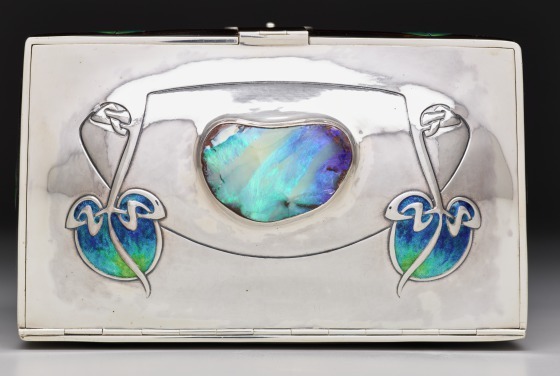 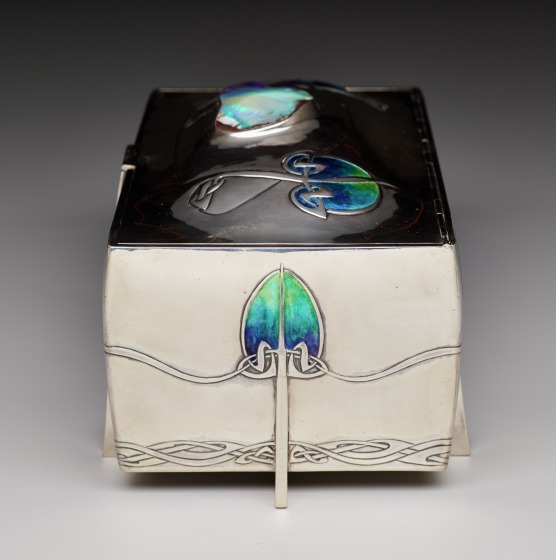 View a similar cigarette box designed by Archibald Knox.